Harvesting more electromagnetic energy; switching on molecular electronics; LEDs for Wi-Fi bandwidth. Researchers from the University of Waterloo in Canada showed for the first time that it’s possible to collect essentially all of the electromagnetic energy that falls onto a surface. Their approach involves the use of metamaterials that can be tailored to produce media that neither reflects nor transmits any power, enabling full absorption of incident waves at a specific range of frequencies and polarizations. Since the inception of collecting and harvesting electromagnetic energy, classical dipole patch antennas have been used. “Now, our technology introduces ‘metasurfaces’ that are much better energy collectors than classical antennas,” said Omar M. Ramahi, professor of electrical and computer engineering. 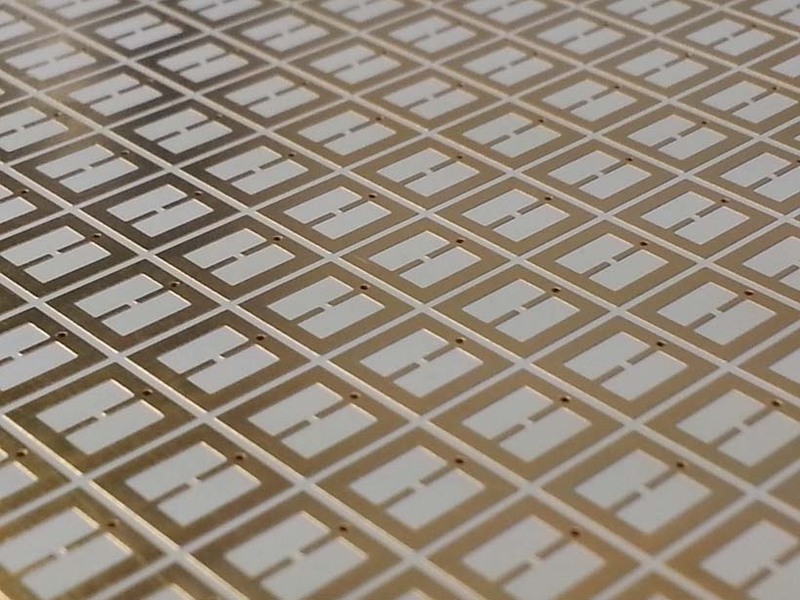 Metasurfaces are formed by etching the surface of a material with a pattern of periodic shapes. The particular dimensions of these patterns and their proximity to each other can be tuned to provide “near-unity” energy absorption. This energy is then channeled to a load through a conducting path that connects the metasurface to a ground plane. Scientists at the Helmholtz-Zentrum Dresden-Rossendorf (HZDR) and the University of Konstanz are working on storing and processing information using single molecules. In a recent development, the researchers claim they can switch on the current flow through a single molecule with the help of light. Switching through a single molecule requires a molecule in which an otherwise strong bond between individual atoms dissolves in one location – and forms again when energy is pumped into the structure. Dr. Jannic Wolf, chemist at the University of Konstanz found that a particular diarylethene compound is an eligible candidate. The advantages of this three-nanometer molecule are that it rotates very little when a point in its structure opens and it possesses two nanowires that can be used as contacts. The diarylethene is an insulator when open and becomes a conductor when closed. When a beam of light hits the molecule, it switches from its open to its closed state, resulting in a flowing current. 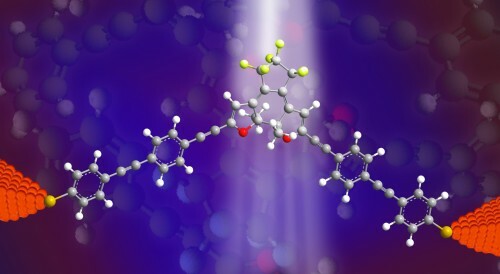 “For the first time ever we could switch on a single contacted molecule and prove that this precise molecule becomes a conductor on which we have used the light beam,” says Dr. Artur Erbe, physicist at the HZDR. They have also characterized the molecular switching mechanism meaning that it will be useful as a building block. A team from Oregon State University invented a new technology that can increase the bandwidth of Wi-Fi systems by 10 times, using LED lights to transmit data. Recent advances in LED technology have made it possible to modulate the LED light more rapidly, opening the possibility of using light for wireless transmission in a free-space optical communication system. The team’s prototype, called WiFO, uses LEDs that are beyond the visual spectrum for humans and creates an invisible cone of light about one meter square in which the data can be received. To address the issue of a small area of usability, the researchers created a hybrid system that can switch between several LED transmitters installed on a ceiling and the existing Wi-Fi system. The system can potentially send data at up to 100 megabits per second. Although some current Wi-Fi systems have similar bandwidth, it has to be divided by the number of devices, so each user might be receiving just 5 to 10 megabits per second, whereas the hybrid system could deliver 50-100 megabits to each user.